the most comfortable boot ever.Would like a utility boot with a scrub boot sole. 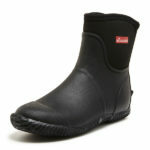 The most comfortable boot that you can get.Would like a utility style boot with a slogger sole. I have had Sloggers Boots before and I purchased a replacement pair. The new pair were much smaller in size and I had to return for a bigger size. This was done with out issue but in future sizing advice should be supplied. I live in Fiji. Got the boots sent to an Aussie friend who brought 3 pairs over in their luggage. Heart in mouth hoping sizing correct as returns pretty impossible. 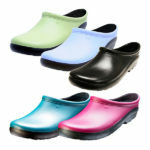 Excellent fit, fabulous flexible protective tropical gardening boot. Very very happy and hope they last a long long time. Quality product. 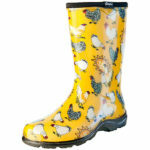 100% waterproof, Strong and comfortable for all farming work. Definitely need one size up to Australian sizes;ie Order 10 for Size 9 foot. Any space can be taken up with insoles.